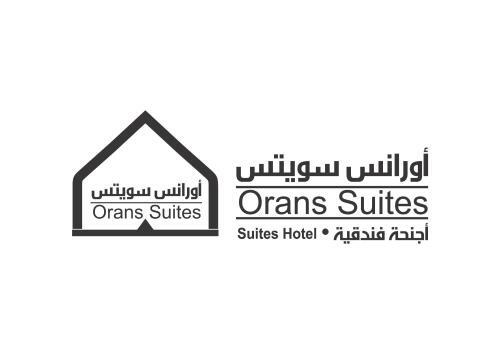 Located 10 minutes’ drive from Abhur al Janubiyah, Orans offers air-conditioned suites with free Wi-Fi and a kitchen. It features a gym and an outdoor pool with a hot tub. 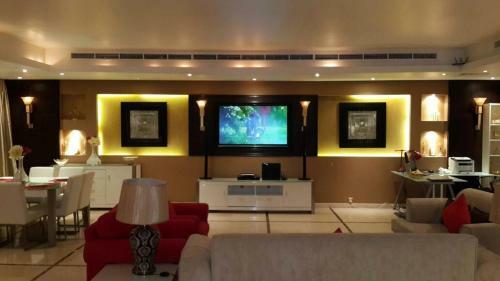 Suites at Orans 4 have an open-plan kitchen and living area with a flat-screen satellite TV. Each comes with a modern décor, and a bathrobe and toiletries are in the bathroom. Orans Suites 4 has a restaurant and a snack bar on site. The 24-hour staff offers room service. Jiddah International Airport is a 10-minute drive from Orans Suites. The Red Sea Mall and Old Jeddah are within 20 minutes’ drive away. Air-conditioned suite offering an open-plan living and kitchen area. The kitchen comes with a microwave, while a flat-screen satellite TV is in the living room. It also has a manual washing machine and an iron. This air-conditioned room offers a seating area with a flat-screen satellite TV. It comes with a kitchenette and a manual washing machine. This air-conditioned suite has separate living room with a massage chair and a 50-inch flat-screen satellite TV. A kitchen with a microwave is included. It also has a manual washing machine and an iron. This air-conditioned room has 1 bedroom with an extra large double bed, while the other offers 2 single beds. It has a living room with a 50-inch flat-screen TV and a massage chair. There is a kitchen with a microwave and a manual washing machine.